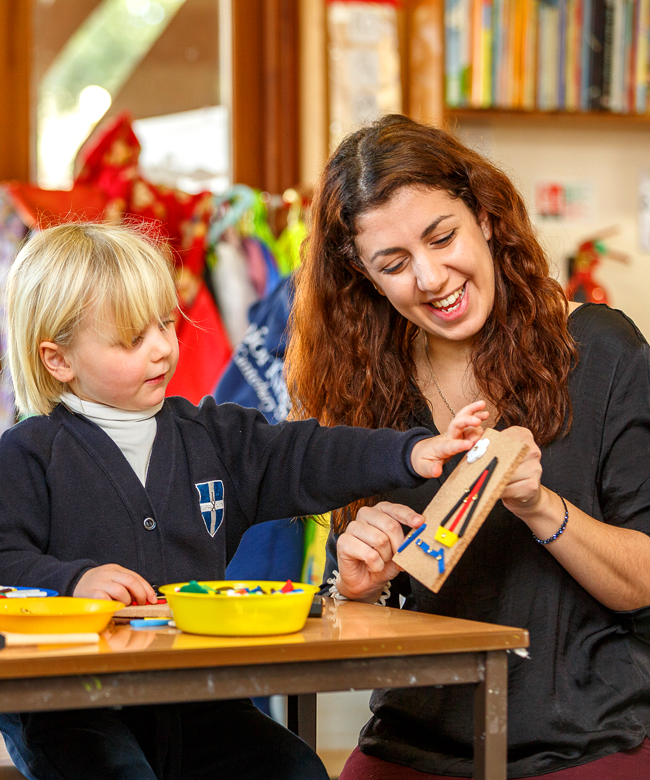 Our nursery is an exceptional, purpose built setting. It is a warm and welcoming environment filled with excitement and laughter. We provide a range of flexible sessions for our youngest children from mornings including lunch, 3 times per week, to five full days per week. Opening hours run from 8.00am to 6.00pm. Parents are invited to explore these options more fully in discussion with our staff. We accept Government Nursery Scheme Vouchers for 15 hours’ free entitlement. For further information regarding how this Government initiative works at Junior King’s please click here. Our child:staffing ratio is high enabling all children’s needs to be attended to in a natural and supportive way. In short our nursery is innovative, industrious and above all fun!